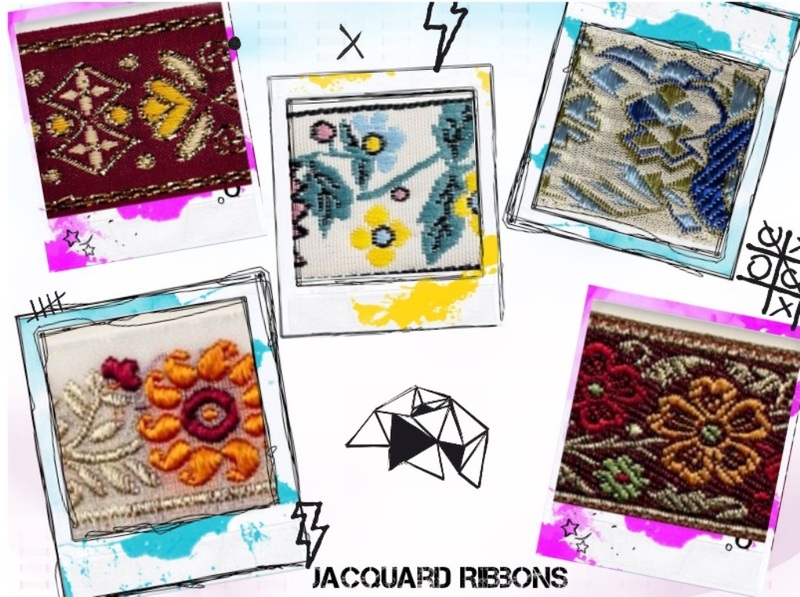 When Joseph Marie Jacquard developed jacquard ribbon in the 19th century, he hardly could have imagined that over one hundred years later the patterned fabric would be in use everywhere, from high-end fashion to at-home holiday decor. Read on to find out three reasons why jacquard ribbon is perfect for the holidays. One reason jacquard textiles are found on runways and Oscar de la Renta gowns is because of its elegance and understatement. Jacquard textiles feature complex patterns that are woven into the fabric itself. At times subtle and other times exuberant the highly embellished fabrics are versatile and elegant. Jacquard ribbon incorporates the elegant qualities of the fabric in miniature. The fabric's quality adds a sense of permanence that isn't found in satin or other ribbons. If the inhabitants of Downtown Abbey had to choose a holiday ribbon, it would most likely be jacquard. The detail found in jacquard ribbon is reminiscent of finely detailed embroidery. Since the design is woven into the fabric itself, the uniformity of the detail is enhanced and the patterns are less likely to pill. The ribbons, when used as trim for holiday ornaments, tablecloths, or gift baskets are sturdy and durable. Jacquard fabrics are woven with highly detailed patterns from paisley to geometric shapes to twining florals. At times whimsical, the ribbons add a festive element to holiday centerpieces. Additionally, the pattern remains the same on either side of the fabric but with inverse colors. The reversible patterns can be used for multiple purposes on the same piece, as trim or embellishment. To find out more about ribbon, trim and decor, please contact us.